As we've discussed, there will be many opportunities to weigh in on the design of Exiles (in fact, we've been discussing which things you most want to get in on here). 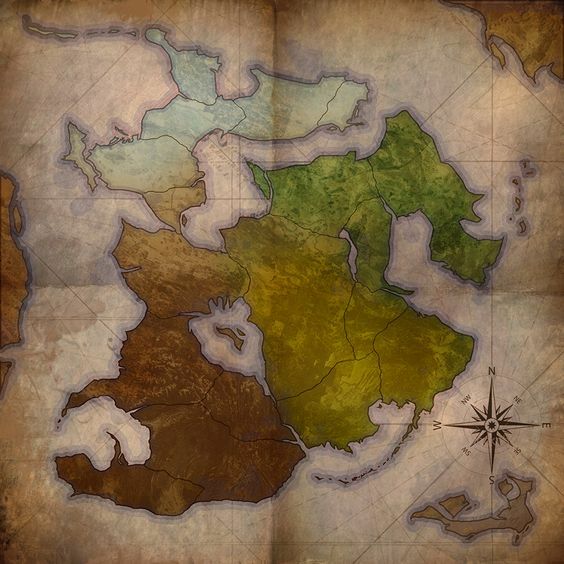 It's almost time to roll up our sleeves and have a little fun with Zone Design (a Zone in Exiles is a region of the World Map where you will go on Quests, slay each other and experience the power of Lore). This Friday, we'll start jumping in on the first of many Design Quests that you are invited to help with. Exile: "What's a Design Quest, Wizard?" Wizard: "Well, it's a cross between an opportunity for you to have a direct impact on the game world and a way for us to discuss the evolving Lore of the game. When you participate in a Design Quest (by posting in its thread with ideas/responses/suggestions), you get the Design Quest BADGE in the forums, which entitles you to a special Design Quest in-game treat when the game launches." Exile: "Why don't you tell me what the treat is?" Wizard: "Because we have to get a little further into the game's design before I accidentally give you something that breaks the game... or even worse, has no real value." Exile: "FIIINE, I'll bite. What do you need?" I just need you to do what you always do-- jump in with suggestions and ideas. On Friday, I'll outline the need for the Zone (we will be populating it with NPCs, flora/fauna and some basic history) and then offer a series of questions and polls. You will then surprise the magicks out of me with your insight and imagination. And then it will become so (caveat: for the most part) in the game. I eagerly await details and holes to fill, and opinions to spout. This will be fun. And having been around long enough to remember a certain player creation winding up in a cameo role, gives me a bit of the warm fuzzies. Oh I am SO DOWN for this. Can't wait to give you my feedback m8! The hype is real & the ideas are already whirling! I've done a lot of world building for D&D. So this sounds super exciting. Is it one day only? Or can I jump in Sunday my time? You shall not miss out, Mr Finji. It will go on over the course of a week or so! Cannot to fill it full of Tims and Smeerps. Expect me to jump in... eventually. Friday is my deadline to turn my script Draft 1.5 into Draft 2.0 and send it to the beta readers again, after which I will have spare brain cells for things like eating, drinking, sleeping, and having fun with friends doing stuff like this. First among the Smitten. The few, the proud, the slightly squished. Yeah Wizz Fizz, it's 11pm on Friday in Finji Time. y u not give us outline yet?! @finjinmo : care to join me beer & chips while we wait? *The old man looks up from his parchments and sees his friends. Oh! Hello- indeed we will embark today but I am preparing series of questions and threads for you in a as-yet unrevealed sub-category (spoiler: called "Design Quests"). This afternoon, it will be begin! Sounds great. I'll remain waiting. Ah, none of us being anywhen near each other. It's just like the old days.